With the move, the country has discarded one more vestige of the Soviet past. One more vestige of the Soviet past has been discarded in Uzbekistan: the infamous exit visa. An August 2017 decree signed by President Shavkat Mirziyoyev ordered the introduction of biometric passports and the abolition of the exit visas as of January 1, 2019. 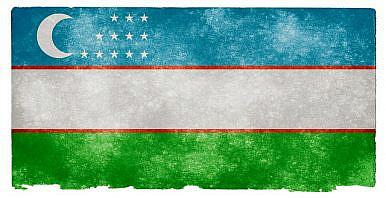 Previously, in order for an Uzbek citizen to travel beyond the Commonwealth of Independent States (CIS) — that is, the territory of the former Soviet Union — an individual needed to obtain an exit authorization sticker from the Interior Ministry’s visa and registration department (OVIR). This system, human rights activists have long argued, has been used disproportionately to restrict politically bothersome citizens and journalists. A rejection meant an individual could not legally leave the CIS. In August 2018, a draft of the new rules was published by the government for public comment and following that period the new system has been set in motion. Uzbek citizens can now apply for a new 48-page biometric passport which, for adults over the age of 16, will be valid for 10 years. Existing passports, reports indicate, will be valid through 2021. The abolishing of exit visas has been a long time coming. Uzbekistan was the only former Soviet state to retain the system, and it remained an obvious marker of an authoritarian regime keeping tabs on its citizens. Human Rights Watch released a report in October 2017 reviewing Mirziyoyev’s first year in office. Among the recommendations listed at the end was the immediate abolition of the exit visa system. Although not immediate, the abolition of the exit visa came as announced by the government. It seems likely that there will be hiccups in the implementation of the new system, as happens when new bureaucratic procedures are put in place the world over. But the fact remains that one easily abused restrictive regulation has been pushed aside.